'I left Bethgelert's huts at crouching time, / And westward took my way, to see the sun / Rise from the top of Snowdon.' 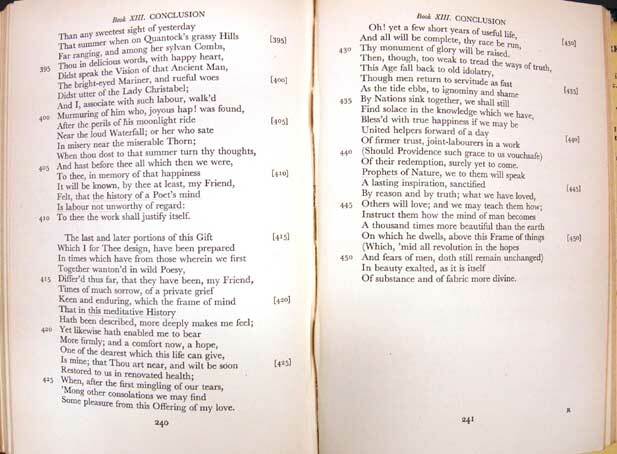 So wrote William Wordsworth in 'Conclusion' (Book 14) to his The Prelude (1850). When Brasch was holidaying in Fiordland in December 1948, he re-read what Wordsworth himself called 'the poem on the growth of my own mind', fussed about suitable places to sit in the Quintin Huts, and admitted his private, reclusive nature:'And at Te Anau, where a week ago I had shrunk from other people, now I was reconciled, & walked & talked with pleasure.' 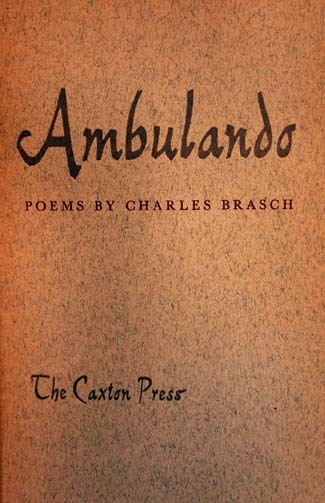 Brasch often under-scored lines that struck a chord with him. On 13 December 1948, Brasch finished Byron's Childe Harold, and pronounced it 'facile thin stuff, a kind of rhymed rhapsodical guidebook mixed with a good deal of pretty commonplace moralising pretending to be philosophical, & the merest pretence of continuity.' 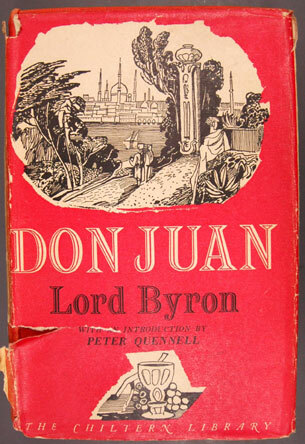 Travelling back from Wellington on 26 November 1950, alone in a two-berth outside cabin on B deck, Brasch not only had galley proofs of Landfall to correct, but he was reading this copy of Don Juan, which he had just purchased. There is no inkling of his comment on Byron's satirical masterpiece. In early 1950, Brasch's friend Harry Scott, a conscientious objector, mountaineer, and future academic in Psychology, had just married Margaret Bennett. In May 1950, Brasch visited the newlyweds in Christchurch. While there, Brasch worked on proofs of the latest Landfall; Scott was busy writing radio talks on 'Why men work.' 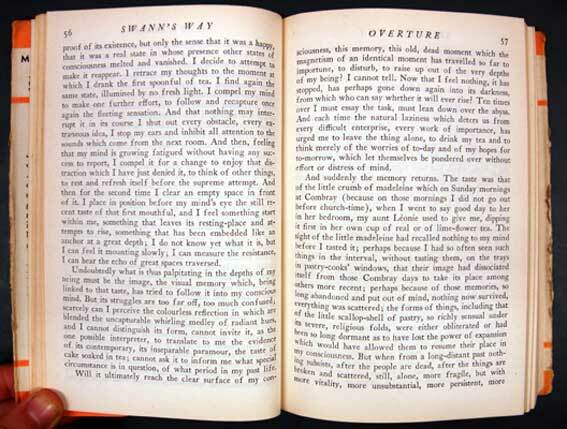 In between discussions, Brasch read Dorothy Wordsworth's Journal, which he called 'a wonderful & exquisite record.' 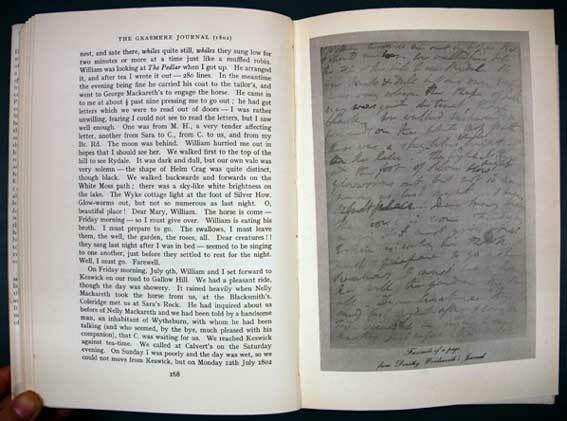 On display is a facsimile page of her writings.